10 family-friendly festivals that are not totally sold out! Festival season is around the corner… wellies, suncream, mud, blah blah blah. As a family first or with kids who are already seasoned savvy festival goers – all you really want to know is…. when, where and what’s going on? 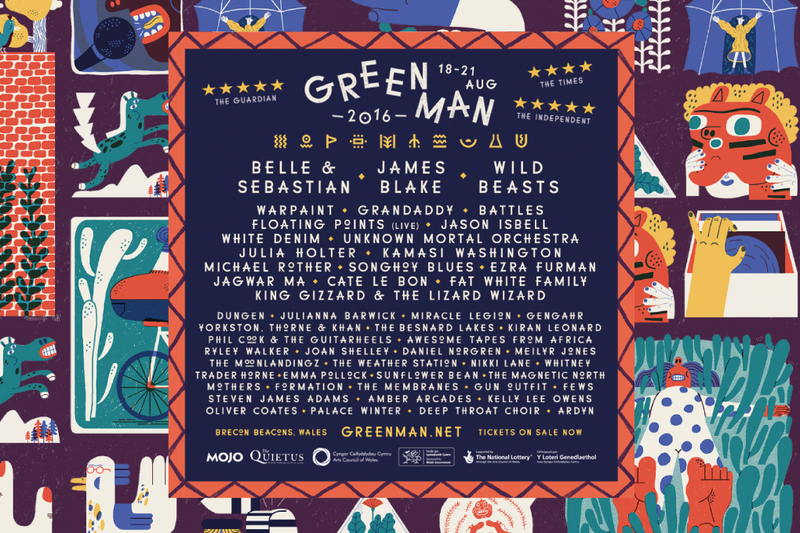 Here are 10 UK festivals with a spirit of adventure, creativity and some great line ups… get practising your dad dancing! Tagline: Our ambition for Elderflower Fields is to provide a unique family experience that opens children and their parents minds to new opportunities in sport, music, the arts, the environment and food. We want to get more kids out into the beautiful countryside and inspired by new challenges. We’re committed to remaining independent and offering the very best value festival we can. 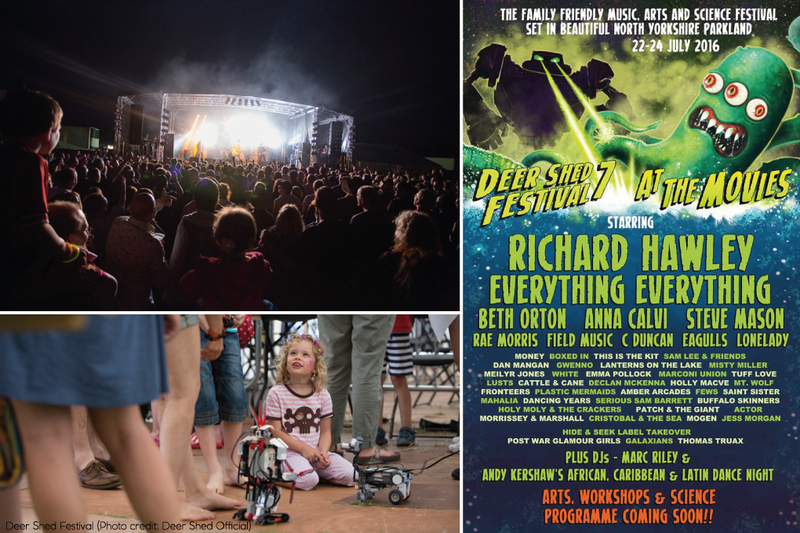 Tagline: The family friendly music, arts and science festival set in beautiful North Yorkshire parkland. Tagline: A family weekend adventure beyond your wildest dreams. 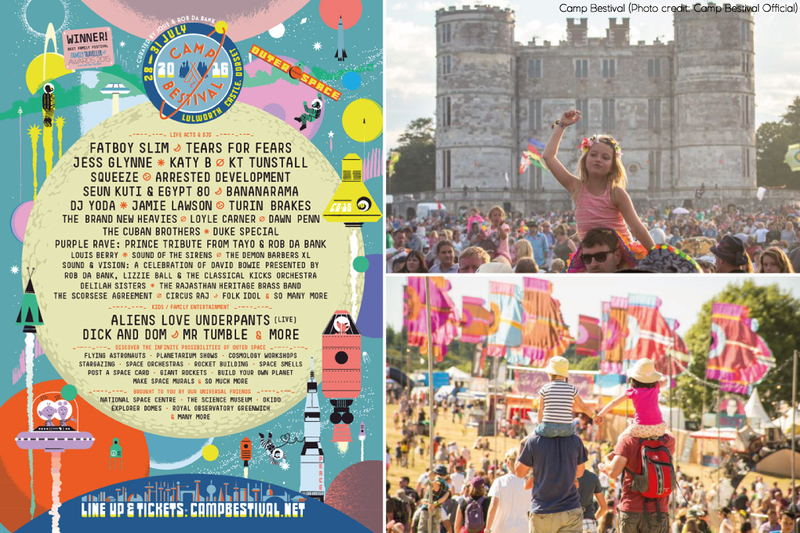 Tagline: Kids are king at Camp Bestival. There is an avalanche of activites for children of all ages; 2 to 62! Tagline: Doune the Rabbit Hole is truly family friendly. 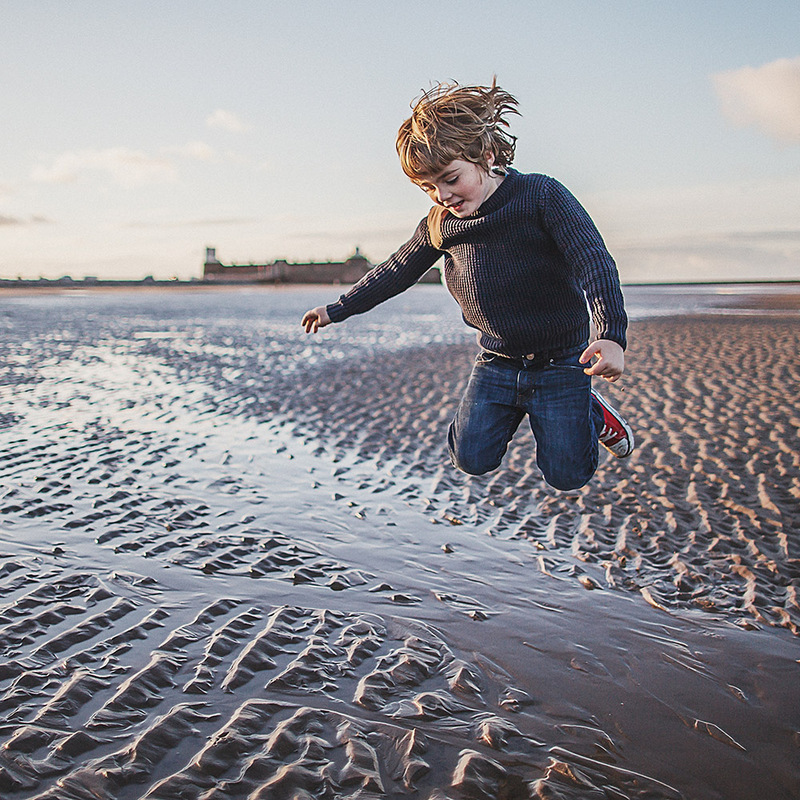 Kids under 12 can come for free(as long as they bring an adult) and in conjunction with Kidding Around Collective, throughout the weekend we offer a huge range of activities for kids of all ages from games to crafts (and the always popular Jelly Slide). We also have a special Family Camping area which is positioned away from the late night revellers so you can all get some sleep in before the inevitable early rise! Tagline: We consider you all to be royalty, and so a move to the grounds of Eastnor Castle seems fitting. Complete with lakes and simply stunning surroundings, we invite you to join us for our fifth year of musical magic. Tagline: Why should adults have all the fun? Here at Latitude, we want everyone to have unforgettable experiences they’ll remember forever, and our huge family areas reflect that. This year, kids could find themselves down the Rabbit Hole with Alice one second and learning to DJ the next. Tagline: HOUSE PARTY Your inner child has been given the keys to Blissfields – under one condition – you absolutely have to throw a party. From the soul basement of Animal House to a gunging at Noel Edmonds, from student digs to country estates, it’s time to go old school and take over the palace for one ultimate weekend party. Bring your sleeping bag, PJs and mixtapes to the biggest house party of 2016. Tagline: Shambala takes place across four days on the August Bank Holiday Weekend at a stunning secret location in the heart of the Northamptonshire countryside. The variety and quality of entertainment on offer is staggering for a festival of its size. With over 200 diverse musical acts across 12 live stages, world-class cabaret, an amazing array of workshops, stand-up comedy, inspirational talks and debates, jaw dropping circus and acrobatics, interactive theatre and nationally acclaimed poetry all housed in beautifully decorated venues. Some of these festivals are dog friendly and have crèches! Check their info pages for details. That sounds brilliant Amy! Thanks for the recommendation!